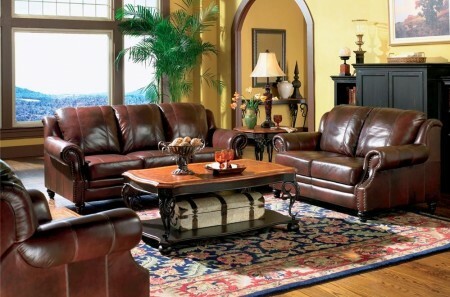 Sofa: L83.5" x D39" x H37"
Loveseat: L62" x D39" x H37"
Recliner Chair: L42" x D39" x H37"
Princeton living room set collection includes sofa, loveseat and recliner chair that can be purchase together or separately. 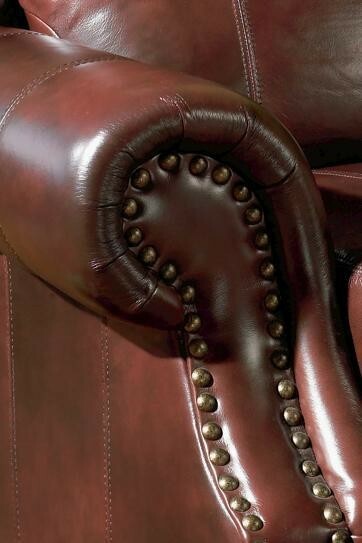 Upholstered in a top grain leather in tri-tone burgundy color. Elegant classic design includes rolled arms, nail head trim and exposed turned wood legs. Large comfortable seats on all three pieces.